It’s Sunday. Day of rest and recuperation, after the excesses of the previous night. So I feel it fitting we should continue our gentle exploration of Cape Verdean music. 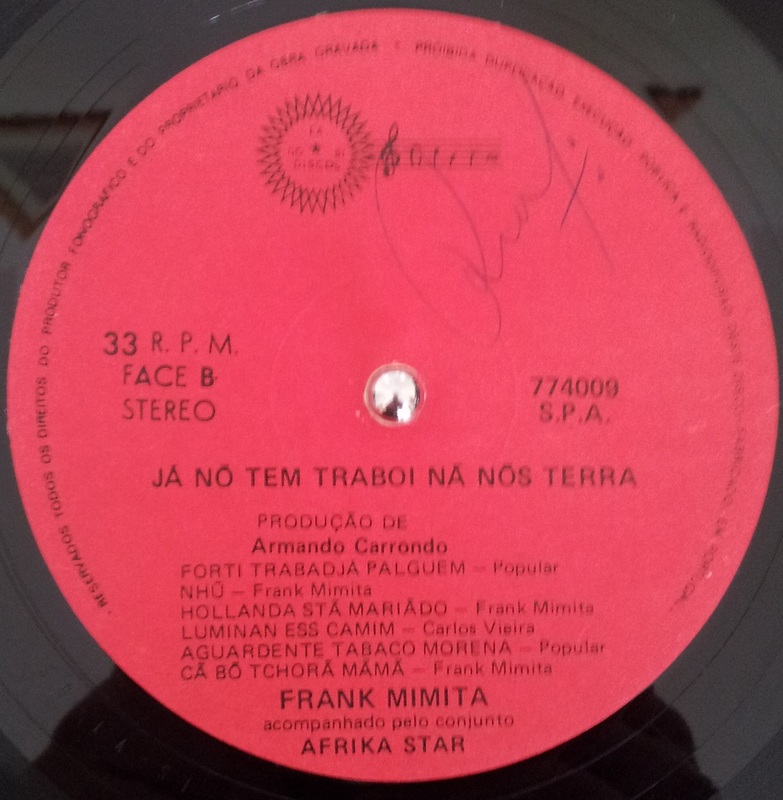 Frank Mimita moved away from the islands in 1966, to look for a better life in Lisbon, Portugal. He became a professional musician recording with several bands under Luis Rendall stewardship. 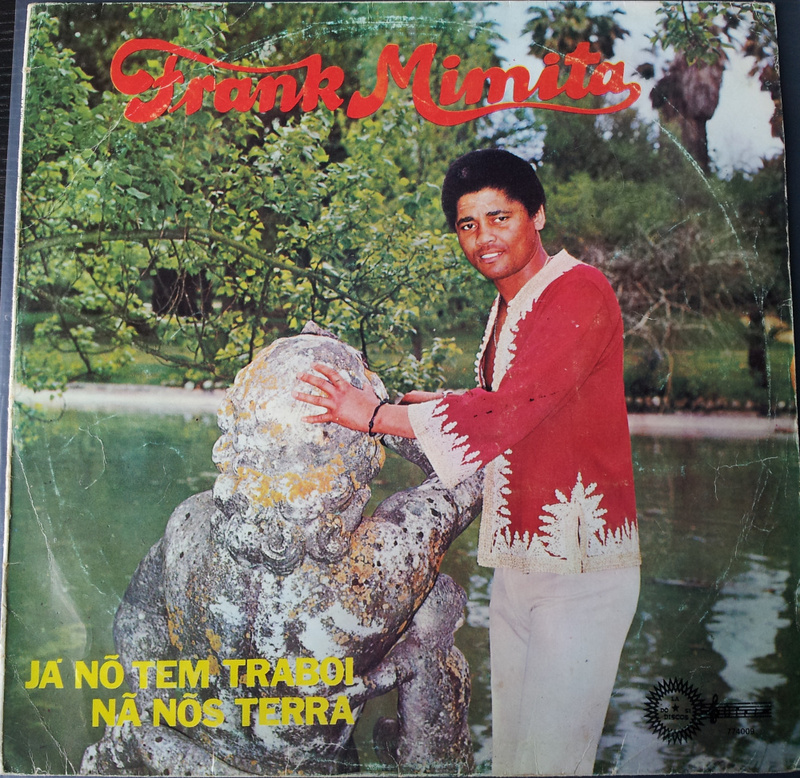 He then moved onto the Netherlands where he permanently settled and recorded several albums exploring his Cape Verdean heritage, including an album of Mornas and Coladeiras. After his return home to the islands in 1979 he died less than a year later in January 1980. Today’s selection is from what seems to be a late 70’s album. 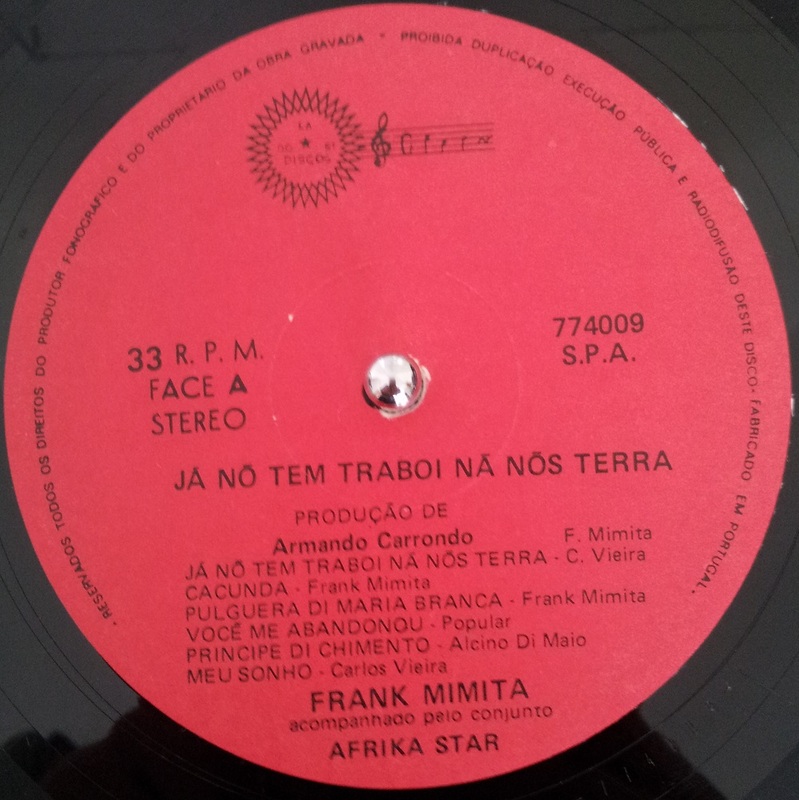 It is one of my favourite Cape Verdean tracks. 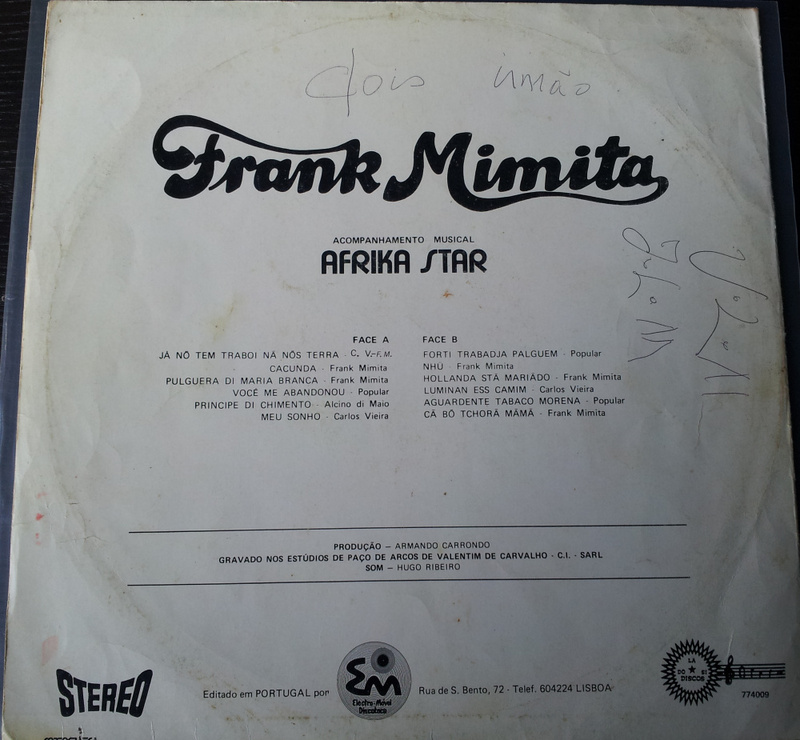 It appears to have been co-written with Angolan guitarist Carlos Viera Dias. The organ on the title track is so sorrowful and is matched by the trumpets. It brings tears to the eyes.